After many great years it’s time for a change! 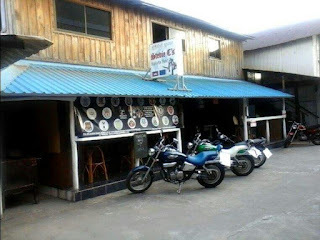 Stevie C’s Sports Bar – Arguably the best sports bar in Sihanoukville is up for sale. 5yrs lease, lock stock and barrel. Very profitable business, complete with 5 LCD TV’s, 1 projector, the best pool table in Sihanoukville and 99% of the football memorabilia. Upstairs there is a 3 bedroom apartment, 2 with on-suite showers, 1 bathroom, kitchen and cooking facilities. Comes compete with Website (http://www.steviecsportsbar.com), twitter account and a strong Facebook following (https://www.facebook.com/sihanoukvilleStevieC)!!! Basically everything you need. The plaza is great area with good management, team spirit in which everyone lookouts for each other. You couldn’t ask for more!! !